Adaptsys Limited offers a range of equipment for companies that need device programming, tape & reel equipment, peel force testing, parts counters, tape splicers and carrier tape. We supply sales, technical and field support services for all products and have a UK based repair centre, approved by our principles. Programmers: Includes manual and automated device programmers for either In Circuit Programming / In System Programming or Out of Circuit Programming. Covering EPROM, PLD, MCU, FLASH or any other Programmable Device from leading Semiconductor Manufacturers such as Intel, PIC, Spansion and Greenline. 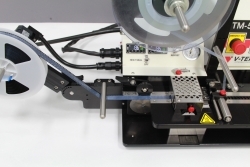 Tape and Reel Equipment: Includes manual or automated manufacturer equipment to insert parts in to carrier tape, count parts, splice carrier tapes, we also manufacture the Reflex ODT brand of carrier tape in the UK. 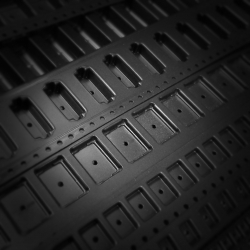 V-TEK USA has been a pioneer in manufacturing systems for the electronic component packaging and processing industry. Today V-TEK's high quality part handling equipment can be found at work around the globe and are also a preferred supplier of many contract component processing solutions. V-TEK's part handling equipment has earned a strong reputation for ease of use, high reliability, and exceptional value. We supply leading brand embossed carrier tapes and custom carrier tapes using our Reflex™ On Demand Tape forming system, produced by Adaptsys in the UK. If you need a carrier tape to allow parts to be placed and sealed to go onto a pick and place system, then we have options for you. Following many years in the tape and reel industry, supplier taping machines and carriers tapes to our clients, we have designed and built our own Vision Inspection System that integrates seamlessly onto the TM50 range of taping machines.